Up and down, to and fro, coo and crow baby, there you go. Up to the ceiling, down to the ground, backward and forward, round and round ... All babies love to be lifted, twirled and held in loving arms. Now a rhythmic poem by nineteenth century poet Anne Taylor makes a delightful board book perfect for baby and parent to share. Marjorie van Heerden has captured the energy and joy of this playful text in vivd pastel illustrations full of the soft, gentle motion of dance. For babies who are responding to music and movement, here's a playful poem that has father and child dancing lovingly across the pages. Anne Taylor (1782-1866) published several voumes of poetry in her lifetime and is widely anthologized. 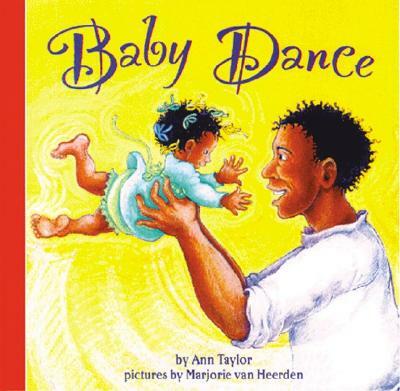 Some Anne Taylor favorites include My Mother, Baby Dance and Meddlesome Matty.